The Tetbury Oak Bar Stool Black Leather will excel in traditional kitchens and bring a chic rustic vibe to more modern spaces. 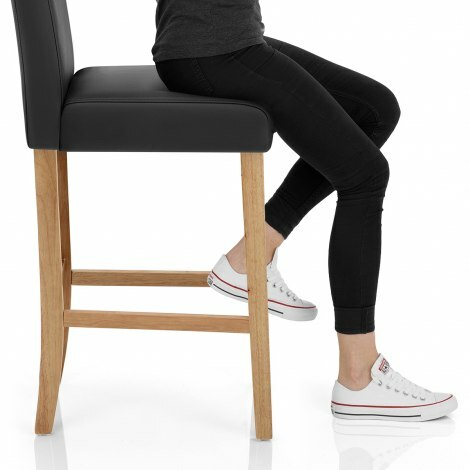 Putting the class back into a classic bar stool, the Tetbury is a strong and reliable design with a luxurious finish. 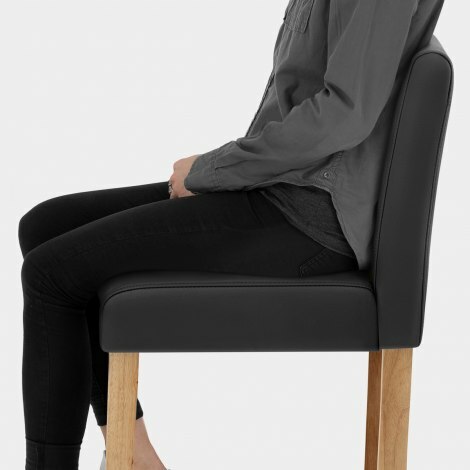 Designed for comfort, the padded seat has a sprung and belted support and is upholstered in genuine bonded black leather. In addition, a high backrest emphasises the classic design with subtle stitching and offers further support. The fixed height frame is stylishly crafted from solid wood with four legs featuring an organic oak finish, while strengthening bracing bars form a supportive footrest. Finally, rubber floor protectors discreetly cap each leg and help to look after your floor surfaces. 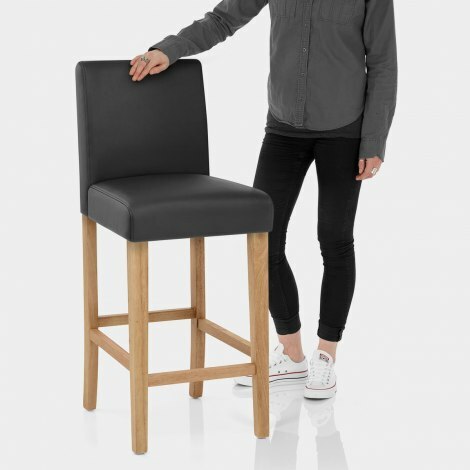 "Beautiful quality for the price, very sturdy"
Purchased 3 Tetbury bar stools, beautiful quality for the price, very sturdy and look really smart around the island. Would definitely recommend these stools and Atlantic. Great customer service and speedy delivery.